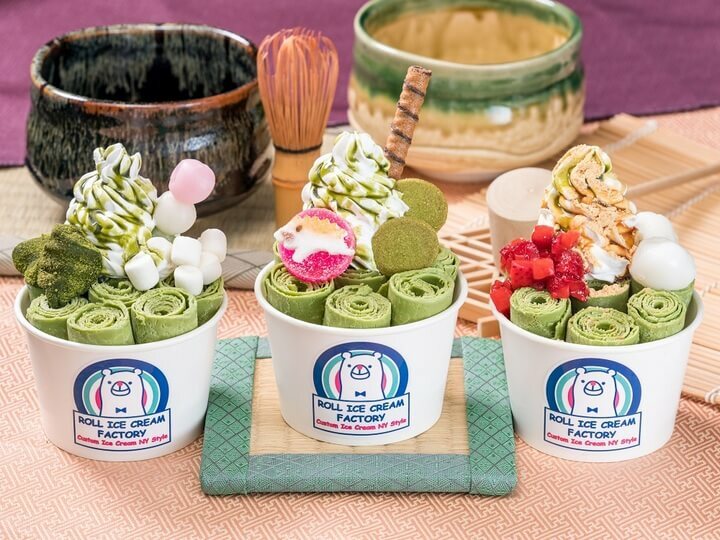 The new Shinkyogoku branch of Roll Ice Cream Factory which opened last Friday is teaming up with Kyoto’s long-standing confectionery shop Takanoya Sadahiro to release several special matcha flavoured ice creams. These will also be available at the other 6 branches of Roll Ice Cream Factory. 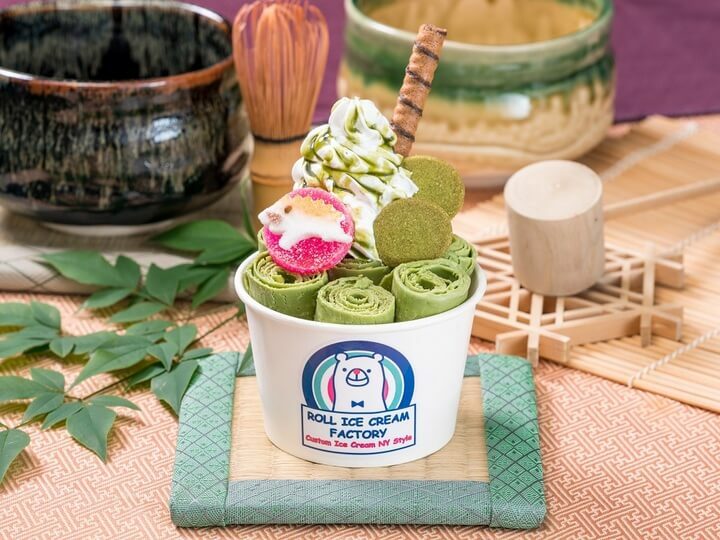 The MATCHA KYOTO 2019 ice cream is topped with a pig to celebrate the 2019 Year of the Pig. Also available on the menu is the Green Tea Kiss (above left) which is topped with three dango, marshmallows, warabimochi, whipped cream and matcha sauce; and the Matcha Whisper (above right) which comes with strawberries, rice flour dumplings, whipped cream, brown sugar syrup and soybean flour. You can’t beat the rich and bitter flavour of matcha even during winter.